Candlelight meals on the rooftop, lazy days by the pool and magnificant suites, some featuring original ceiling frescoes. Right in the centre of this ancient and orginal example of Rennaissance townplanning, explore and soak up the history. Private parking at a site nearby at €15.00 per day. Pets allowed on request, charges may apply. Relax and unwind with a good book in the charming courtyard, leafy garden or poolside. 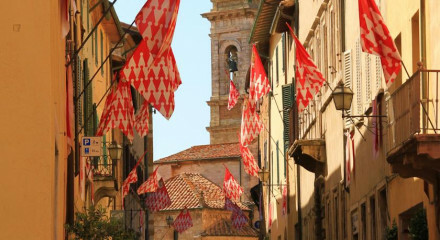 Learn about Pienza and the birth of Renaissance town-planning concepts by Pope Pius II and architect Bernardo Rossellino. The Tuscan hillsides and vineyards make for some spectacular walking. 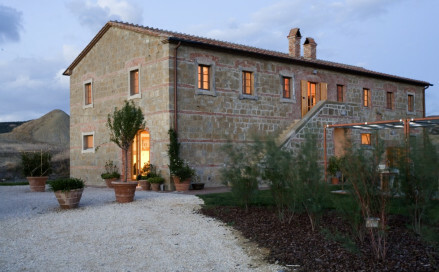 Housed in a former Franciscan convent dating to the 13th-century.